Microlab offers a wide selection of wireless infrastructure products ranging from RF and microwave components for radio base-stations, to solutions for distributed antenna systems (DAS), in-building architecture, as well as wireless components for military and medical applications. Microlab’s RF components share unique capabilities in the area of broadband frequency coverage, combined with minimal loss and very low PIM. Microlab offers: neutral host DAS and co-siting combiner solutions, hybrid couplers and hybrid matrices, attenuators, RF terminations, RF power splitter and diplexers, also known as cross band couplers, as well as RF signalconditioners and broadband combiner boxes for DAS deployments. With exploding wireless data use, network infrastructure, both in-building and outdoors, must offer adequate coverage and bandwidth to handle and transport this huge amount of data. According to a research carried out by Cisco, smart phones require 24 times the amount of data bandwidth of regular phones, and tablets are even more demanding. They require on average, 122 times more data compared to a regular phone. Future predictions draw a picture of triple digit data increases. To make the task even more daunting, use of data is becoming increasingly localized to areas with a high user density, many of them using multiple devices at the same time. 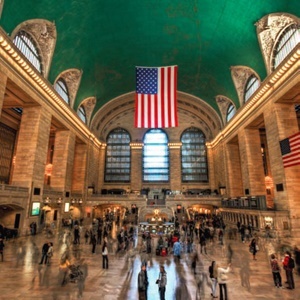 Large office buildings, concentrated residential areas, public buildings like subway stations, airports, sport arenas or convention centers require infrastructure solutions that provide best efficiency, while at the same time resolving coverage and capacity challenges. Signals of different wireless operators with different frequencies have to be accommodated and re-distributed to provide best coverage without mutual interference. Public safety signals often share the same wireless infrastructure with commercial signals. Clearly, networks must guaranty sufficient bandwidth and interference-free operation for these services. Furthermore, in-building and outdoor infrastructure has to be scalable and open for emerging wireless networks and future technologies. not guarantee low churn. Network infrastructure is the foundation of any wireless operation, only the right components and systems will satisfy the huge demand for reliable communications inside office, public and residential buildings. The wireless world is very dynamic. Flexible, but high quality of components and systems are expected and the supporting economics have to be sound, but as also important is the availability of systems and components when and where they are needed. Delays are seldom acceptable and just in-time/off-the-shelf delivery can decide the failure or success of a project. Microlab delivers most components from off-the-shelf. Microlab products are well known and accepted throughout the market. As the right partner for high performance wireless network infrastructure and economic, high quality components, or in-building and outdoor DCC Series® DAS Carrier Conditioners, Microlab delivers. Wireless operators utilize different receiving and transmitting bands. For economic reasons, it is desired to combine these signals in DAS systems. Fiber systems convert RF signals into light pulses, which are converted back to RF at the areas where RF is needed. Here it is distributed via a variety of antennas, to ensure optimal wireless coverage. Both Tx and Rx signals, must be adjusted to the right level, to ensure proper operation of the fiber system. Incoming signal levels which are too high, can distort or even damage the fiber system front-end, and elevated Rx levels provided by the fiber system are also not desirable, because they will overload base station receivers and cause distortions and subsequently, cell site capacity will decrease. As Tx signals were combined to allow for just one economical RF line in DAS applications, Rx signals from different operators were also handled as one in the DAS network topology. 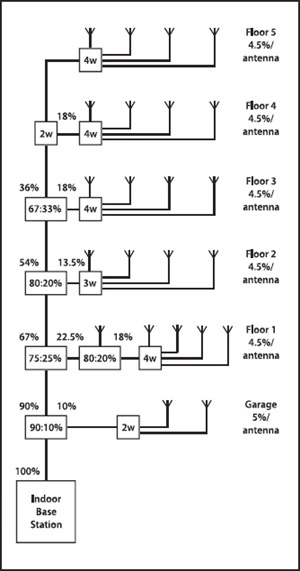 To route the different Rx signals back to individual frequencies of wireless operators, they have to be divided. Their signal levels have also to be reduced, to ensure that Rx signals are not overpowering base station receivers. Microlab’s DCC Series® DAS Carrier Conditioners can handle up to 8 wireless signals, both transmission and receiving combined (TX/Rx) and individual (Tx and Rx). The table below shows a list of standard DAS Signal Conditioners that cover most requirements. Microlab can also provide customized solution in very short time span. Discuss your requirements with us. Microlab custom designs boxes that conveniently integrate passive components. A common example is the DCC Series® DAS Carrier Conditioners used at the Point of Interface between service providers and an in-building or outdoor Distributed Antenna System (DAS). Requirements commonly include the need to combine commercial signals with public service channels or Tetra. Frequency ranges are usually 380 to 520 MHz with cellular services extending from LTE 700 to WiMAX / LTE-2600, as well as other services up to 6 GHz. Microlab’s broad range of catalog diplexers and hybrids allow rapid creation of special configurations to suit customer needs, whether for in-building, trains, tunnels, or applications is hospitals. To simplify requirements further, Microlab also offers standard designs which offer for example 4 low band and 4 high band inputs combined to 4 identical outputs, which may be distributed to different parts of an in-building project. Such designs are essentially loss-less, greatly simplifying the task of optimizing the loss budget. The advantages of DCC Series® DAS Carrier Conditioners are clear. 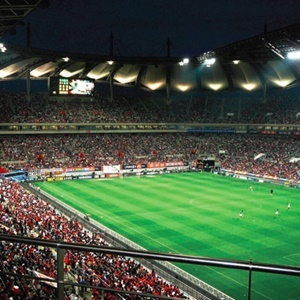 Functional tested solutions reduce in-field installation time dramatically and guaranty quality signals. 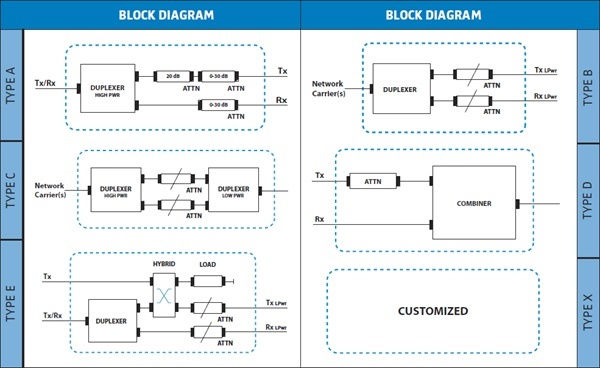 Wireless high speed data networks with their tightly grouped, high frequency signals and complex modulation schemes, associated with high sensitivity receivers may face unanticipated but serious PIM (Passive Intermodulation) problems. 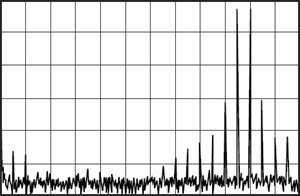 Intermodulation can occur whenever more than one signal is present in an RF system and components display unwanted non-linear frequency responses. With non-linear components in the RF path, they act like mixers, modulators and frequency multipliers creating unwanted spurious products. PIM becomes a significant problem when RF signal paths share transmit and receive signals. VSWR measurements are standard procedure determining how much RF energy is emitted by the antenna and how much is reflected back to the amplifier. Because they use only one single measurement signal they are not suitable to detect any non-linearity of components, cables or connectors, even if these generate strong PIM. The best way is to prevent PIM in the first place. Using high quality, low PIM products, proper installation and ensuring excellent grounding of the transmitting system is paramount to achieve this. 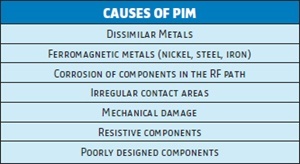 Why is it critical to eliminate PIM? Ferromagnetic metals, like iron, nickel and steel, show hysteresis effects when energy is applied. The resulting signal levels are altered and the signal response is no longer linear. Dissimilar metals with different electrical potential together with humidity constitute a potential voltaic element that acts like a diode. Irregular contact areas, even on a microscopic scale, can cause an inconsistent flow of charge carriers and generate inhomogeneous electromagnetic fields.